Wila, the manufacturer of tooling, clamping systems and crownings for edge presses, has so far only been producing in London, but this is set to change soon. Growth is taking place at such a rapid rate that a production line is to be set up in China this year. Once this is functioning properly, the United States will follow. Director/owner Hans Willemsen took over from his father as head of Wila in the late 1980s. He was achieving a steady growth each year until the financial and economic crisis. Following the gigantic dip in 2009 (the year in which sales halved), there has been double-digit growth year on year. “Over the last few years, we’ve been seeing a growth spurt, and we’re now actually experiencing an acceleration. This is why we require increased production capacity”. There are a number of reasons behind the steady growth: geographic expansion to new countries, the upgrade to the market meaning that more New Standard, Wila's top tool, is being used, and share expansion among existing customers with TIPS (Tooling Identification and Positioning System), for example. “The growth is in the clamping systems, the crowning and especially our tooling”. Actually, it’s pretty evenly distributed. Our system is pointing towards the lower end of the market. It’s well-known and people are requesting it”. Growth is expected to accelerate. Production volumes will increase, meaning that Wila will be requiring more production capacity. This will be implemented in China, followed by the United States. Willemsen emphasises that Wila is not heading to China simply to be able to produce cheaply. “Our vision is that we will distribute our production across the whole world in the same proportions as sales. This holds a number of advantages in terms of speed, import duties and transport costs. Another factor playing a role is that we are linked to the machine manufacturers, which also have production locations spread across the world. We’ll work with them towards ensuring that customers in China are able to embrace Western technology. Our chances are good. Top-quality machines and tools result in lower operating costs in combination with high-quality products. This is what they want in China too. We’ll be initially targeting the top 5 percent of the Chinese market”. A complete production line was set up in China, and all the machines involved have been purchased. A property has been rented over in Lochem in which the Chinese production satellite has been simulated, which the aim of gaining perfect control over it and to integrate it into the operating system. All this was done to ensure that the same quality tooling is being produced both in the factory in China and the factory in Lochem. Wila management is still considering the location in China. 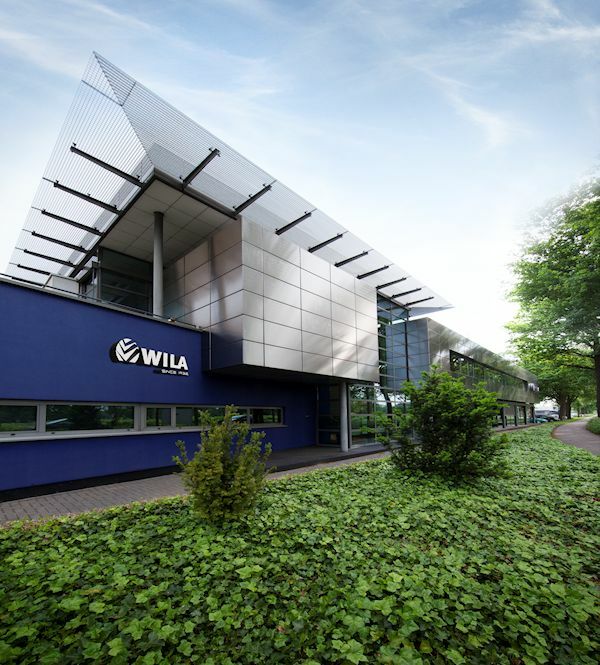 There is space for the production line at the current location in which Wila already has an office, showroom and storage area, but consideration is being given to renting a larger location with room for growth. The ball’s already rolling, because the steady growth means that the additional production capacity cannot wait any longer. Plenty of activity is underway in Lochem itself. Additional machines can no longer be installed and because the workforce has grown to 320 in a short space of time, office spaces are now completely full, meaning that a new office is being constructed on the current car park. At the same time, a parking garage is under construction.